The Tarsh Partnership - Is AI really the future of recruitment? We are currently experiencing a fourth industrial revolution; one in which technologies such as the Internet of Things, robotics, virtual reality and artificial intelligence (AI) are changing the way we live and work. AI is increasingly becoming a key part of complex systems, from Siri and Cortana and driverless cars, to assessing credit application and filtering spam emails. AI is taking over the tedious decision making processes, freeing up time and reducing the margin for error. Recruitment is one of the areas that some predict will be revolutionised by the increased use of AI. In fact, a survey from Korn Ferry Global showed that 63% of HR professionals think AI has already changed the way recruiting is done today. 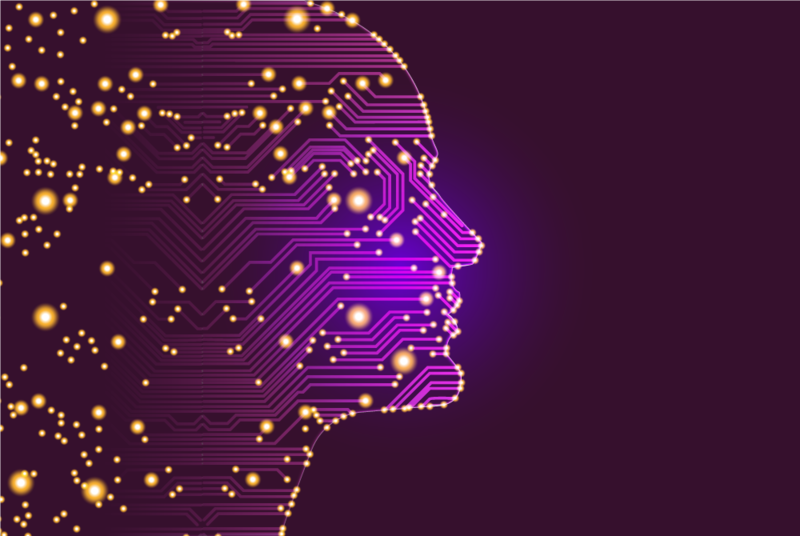 Examples of AI in recruitment include applicant tracking systems, automated screening tools, video interviews using facial tracking and chatbots taking over initial conversations with candidates. The advantages of these systems are clear. When employers are faced with hundreds of applications for each role, AI can help streamline the screening process, making it faster and more efficient and freeing up the hiring manager’s time. It is also alleged that AI can be used to take the human bias out of the recruitment process, helping companies to improve their diversity. So will AI take over recruitment entirely in the future? Does AI offer a better candidate experience? Slow recruitment processes are a major frustration for candidates, and AI can undoubtedly the experience much faster, but it can also make other aspects of the hiring process much more frustrating. Having your CV shortlisted by AI can be unsatisfying and rather faceless. For example, the lack of human interaction in a recorded video interview means that candidates get no immediate verbal or physical feedback from an interviewer to their responses, making it very hard to judge how well they did. Shortlisting using AI also usually means that unsuccessful candidates are rejected with an automatic email, without any guidance on why they failed or advice on improving their interview technique. As we’ve discussed before, a lack of quality interview feedback can seriously damage your employer brand. Applying through an automated system can increasingly become about trying to work out how to tailor a CV for the program’s algorithms, rather than it being an accurate reflection of your abilities. Excellent candidates with years of experience can fail the selection process, simply through not having right keywords in their CV. Candidates who haven’t followed a conventional career path or who have taken a carer break may also be penalised, even though these types of employees can often bring valuable diversity in skills and perspectives to a company. And if the AI does make a mistake and overlooks someone who could genuinely excel in the role, there is virtually no opportunity for the candidate to appeal or correct that decision. In a well-publicised case, Amazon was recently forced to stop using the high-tech recruitment engine they had been developing, after it transpired that the system had been penalising CVs from female candidates. When it became apparent that they could not guarantee that the AI tool would not devise other ways of sorting candidates that could prove discriminatory, Amazon was forced to abandon the project. The problem with machine learning algorithms is that they feed off historical data. Recruitment models are built using the data employers hold on their current employees, which is then used to create the profile of an ideal candidate. Unfortunately, this means that if your current employees all come from similar backgrounds, you’ll end up hiring more people just like them, which is not a good predictor of job performance and has huge implications for diversity. A survey by Korn Ferry shows that while 72% of candidates felt AI should be used in the hiring process, 76% said they would trust decisions made by AI less than those made by a person. The main reason candidates prefer to work with a recruiter is that they can build a relationship with that person. While AI can be an incredibly useful tool in the hiring process, ultimately it is just a tool. Algorithms cannot replace the value of human interactions and judgements. So, while AI can help recruiters free up time by automating some tasks, it is highly unlikely to replace human recruiters in the near future.